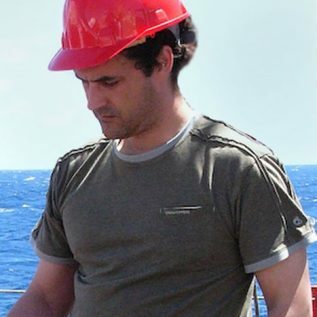 Ricardo has over 17 years’ experience in mesoscale physical oceanography that includes a PhD from the University of Wales, Bangor, on the upper layer dynamics of the Galician Upwelling system. Ricardo joined the PML modelling group in 2002 acquiring expertise in data assimilation, interpreting and modelling marine systems and its relationship with the physical environment by developing mathematical 3D plankton and biogeochemical models. Ricardo has successfully combined his extensive experience in field-based oceanography with his modelling skills and applies his unique approach to help understand how the complex marine environment supports and mediates the marine ecosystem responses to both anthropogenic interventions (e.g. marine renewable energy extraction, aquaculture activities) and natural variability and climate change. In CACOON, Ricardo will be responsible for the implementation of a high resolution coupled hydrodynamic-biogeochemical model based on FVCOM and ERSEM in the Lena and Kolyma estuaries and adjacent near shore. The model will be used to study the leading processes affecting the transformation of terrestrial Organic Matter (terrOM) and to investigate the impacts that changes in terrOM and freshwater discharges associated to permafrost thaw will have on the fate of terrOM and associated coastal biogeochemistry. CACOON is co-funded by the German Federal Ministry of Education and Research and by NERC.